In his characteristically masterly way, Trevor evokes the passions and frustrations of the people of a small Irish town during one long summer. Its summer and nothing much is happening in Rathmoye. So it doesnt go unnoticed when a dark-haired stranger appears on his bicycle and begins photographing the mourners at Mrs. Connultys funeral. Florian Kilderry couldnt know that the Connultys are said to own half the town: he has only come to Rathmoye to photograph the scorched remains of its burnt-out cinema. A few miles out in the country, Dillahan, a farmer and a decent man, has married again: Ellie is the young convent girl who came to work for him when he was widowed. Ellie leads a quiet, routine life, often alone while Dillahan runs the farm. Florian is planning to leave Ireland and start over. Ellie is settled in her new role as Dillahans wife. But Florians visit to Rathmoye introduces him to Ellie, and a dangerously reckless attachment begins. In a characteristically masterly way Trevor evokes the passions and frustrations felt by Ellie and Florian, and by the people of a small Irish town during one long summer. The life that had come to an end had been one of good works and resolution, with a degree of severity in domestic and family matters. The anticipation of personal contentment, which had long ago influenced Mrs Connulty’s acceptance of the married state and the bearing of two children, had since failed her: she had been disappointed in her husband and in her daughter. As death approached, she had feared she would now be obliged to join her husband and prayed she would not have to. Her daughter she was glad to part from; her son — now in his fiftieth year, her pet since first he lay in her arms as an infant — Mrs Connulty had wept to leave behind. 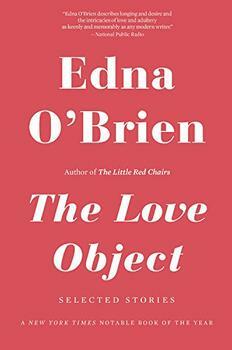 Anyone drawn to the title and expecting a Nicholas Sparks/Bridges of Madison County-style romance should approach with caution, but those who appreciate exquisitely paced narratives and keen emotional insights will relish this bracing examination of love and its limits. (Reviewed by Marnie Colton). [T]here is no corpse in the basement, no bomb lies hidden in any drawer—but even so, a reader will have his heart in his mouth for the last 50 pages. And when that heart settles back down, it will be broken and satisfied…a thrilling work of art. Everyone, as Trevor knows so well, has a story. No character in this book goes unnoticed; no one is forgotten. For those readers who have loved the generosity and beauty of Trevor's work (he has written 27 books of fiction), Love and Summer will be one more entry into a world that is both heart-breaking and deeply fulfilling. ...jewel-like... I found myself wishing that the Rathmoye summer would never end. Starred Review. Trevor renders the fictional town of Rathmoye with the precise detail of a photograph, while his portrait of its inhabitants is more subtle and painterly, suggesting their interwoven secrets, respectful traditions and stoic courtesy. Starred Review. An archetypal Irish love story and a perfect novel - sweet, desperate, sad, unforgettable. Starred Review. This is another masterly work from one of our greatest contemporary novelists. When reading Love and Summer, American readers will encounter many Irish words and phrases with which they may not be familiar. What follows is a list of some of these, highlighted within a sentence from the book, along with the accompanying definition. Definitions come from the Oxford English Dictionary (OED). Vaccuumed (used throughout the British Isles). 2. 'I'm sorry,' she said, turning to face him. 'Arrah, it doesn't matter' (18). An expletive expressing emotion or excitement, common in Anglo-Irish speech.